1. Phone the automated reservation system, (858) 570-1234, seven days in advance starting at 7 PM. This system requires a valid six digit city reservation number. You will find that on most all days, all you get is a busy signal until about 7:15. When you finally get through, the only times left for Torrey Pines North or South are late in the afternoon for foursomes or maybe earlier if all you need is a single or twosome. 2. Phone the same reservation system between 8 PM and midnight the night before you can play and try to find a time that someone had to cancel. This is chancy at best and does not allow for planning ahead. Weekends are still nearly impossible and rarely do you find a foursome even on the weekdays. Again, be sure to have your six digit city reservation number. 3. Go to the course and put your name on the waiting list kept by the starter. The wait can be anywhere between 5 minutes and 4 hours. Singles and twosomes have a better chance of getting on than foursomes. You can't find out what the wait time is without going to the course. 4. Now it starts getting expensive. You may call the City Golf Office at (858) 581-7171. They have a limited number of times to book up to 90 days in advance. Visitors and residents can use this system. The current charge for this service is $29/player for residents, $41/player for visitors. Those fees are payable up front and non refundable. Changes are normally not permitted. This service is operated by the City of San Diego, contact them for more details. 5. 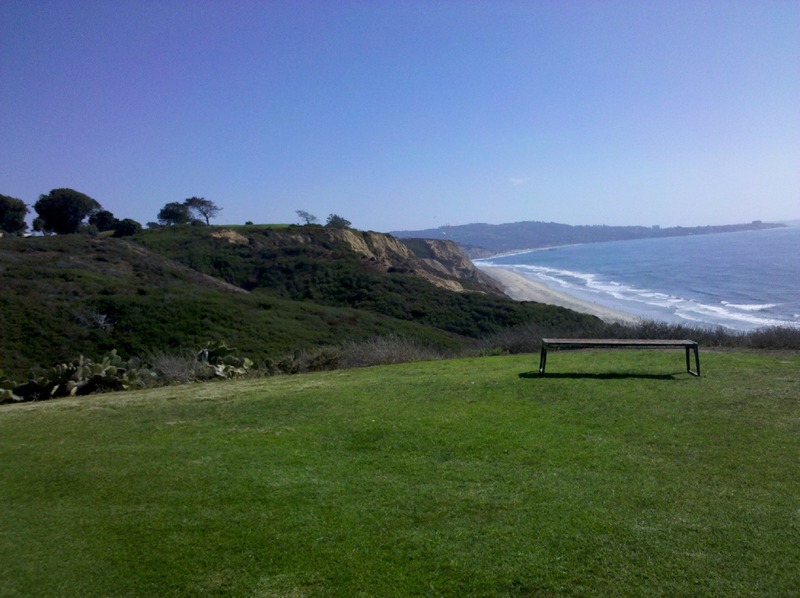 The Torrey Pines Hilton and Lodge have tee times for their guests. They are expensive and their guests are given priority and maybe exclusive access to these times. There are tee time brokers you can find by searching the internet. Prices and terms vary but you can expect to pay about $50 per golfer for their services. If you'd like to play at Torrey Pines and would like help navigating the reservation system, send me a quick email using the link below. Let me know who you are and when you'd like to play and I'll see if I can help you out. We offer this service for a very nominal fee.